In the run up to our Interventions with Impact conference, read more about what experienced practitioners will be sharing with delegates about effective feedback, behaviour intervention, small-group literacy and numeracy intervention, engaging parents and evaluating 'home-grown' interventions. Beverley Gardner, Primary Executive Headteacher, Trinitas Academy Trust will be talking about leading sustained professional development to provide effective feedback in every classroom. “In 2012-13, I led a pilot project aimed at raising standards by improving the quality of feedback. This project was across a partnership of 10 schools called The Anglican Schools’ Partnership’ in the London Borough of Bexley. This project was the first of its kind to test John Hattie’s ‘Model of Effective Feedback’ and also the first EEF project to be led by schools. Breda Bowles, Headteacher & Lisa Smith, SENCO, St Joseph’s Catholic Primary School will be talking about best practice in implementing behaviour intervention programmes: Ensuring targeted approaches deliver long-lasting and high-impact results. Carole Berry, Inclusion Leader, Launcelot Primary School will be talking about choosing and implementing high-impact small-group interventions for struggling learners in Literacy and Numeracy. 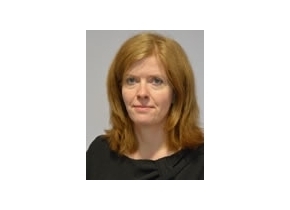 Lynne Gavin, Headteacher, Pakeman Primary School will be talking about engaging parents of children who are struggling – effective strategies to deliver high-impact interventions. “This session is a case study of the work we have been doing at Pakeman to increase parental engagement. We will explore ways of overcoming barriers, adopting a whole school approach, improving communication and matching appropriate interventions to individual parents, especially those who are hardest to reach”. Stuart Kime, Education Consultant, Centre for Evaluation and Monitoring; Policy Fellow, Department for Education will be talking about DIY evaluation of ‘home-grown’ interventions: Measuring impact in your school. "Evaluating the impact of choices made in school is possible and there are tools available to help school leaders do this robustly. This session will look at the tenets of good evaluation practice, focusing on the planning, implementing and reporting of DIY evaluations in schools; the key document to which reference will be made is the Education Endowment Foundation's DIY Evaluation Guide." View the full programme and book your places now to join us at Interventions with Impact, 26th March in London!